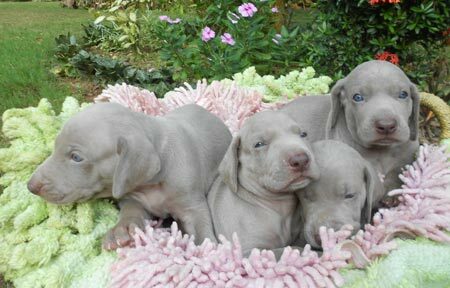 Weimaraners are several centuries old and derived from the same stock as the German hunting breeds and is a descendant of the Blood Hound. 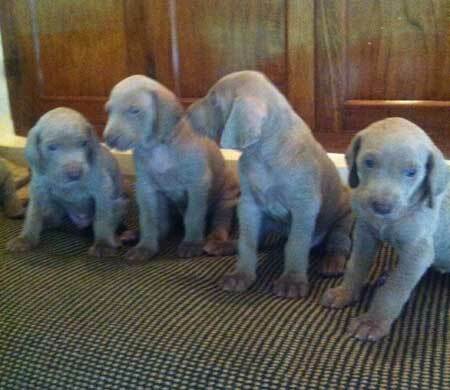 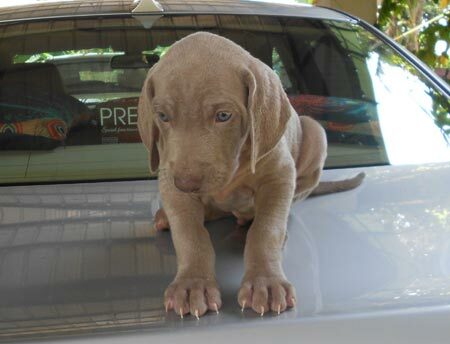 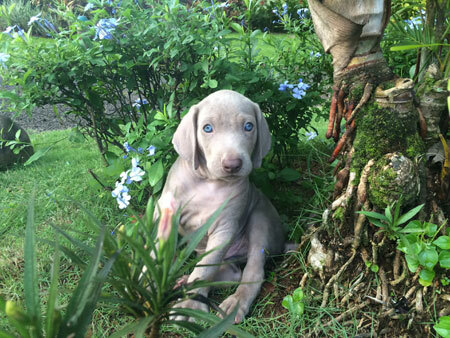 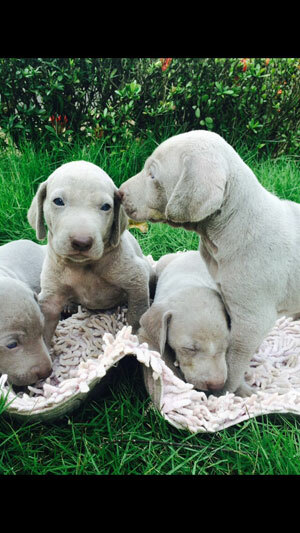 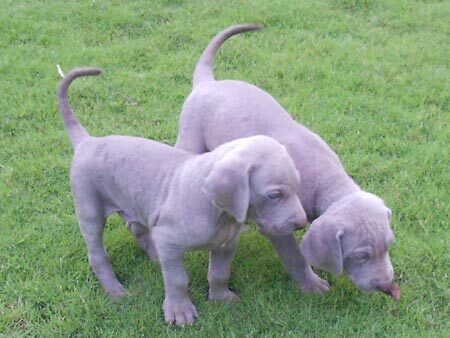 The Weimaraner is an excellent pointer and a brilliant all round hunting dog. 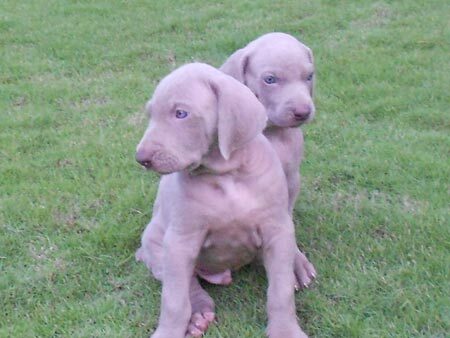 They are basically gun dogs. 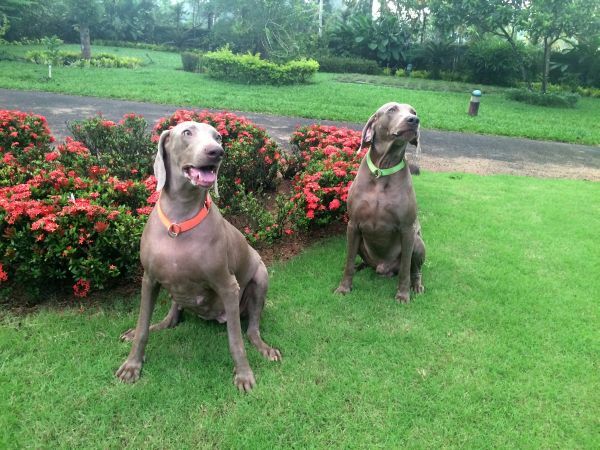 They are powerful working dogs with great stamina. 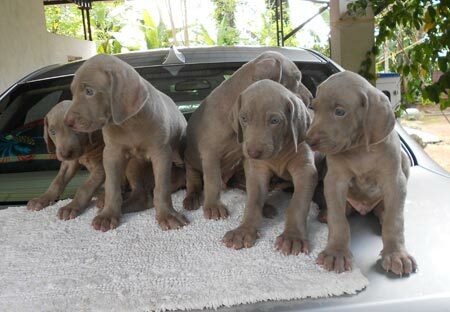 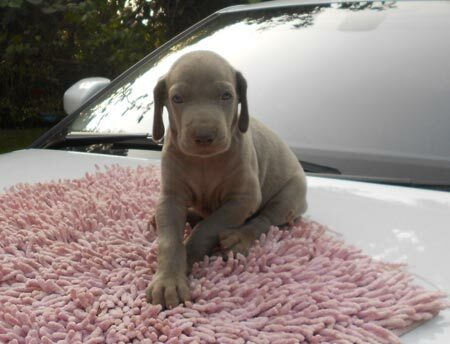 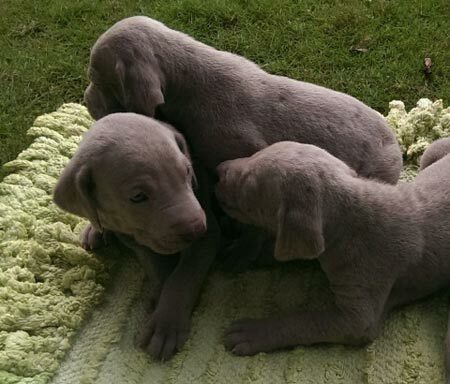 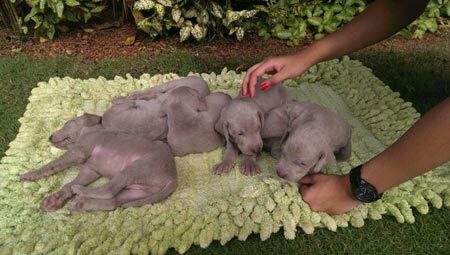 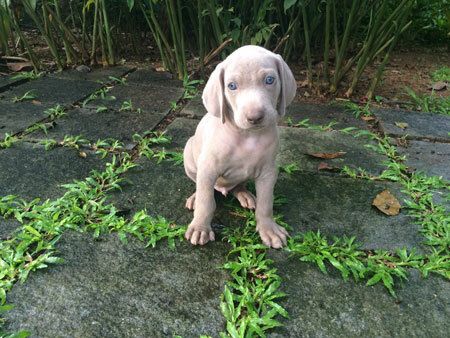 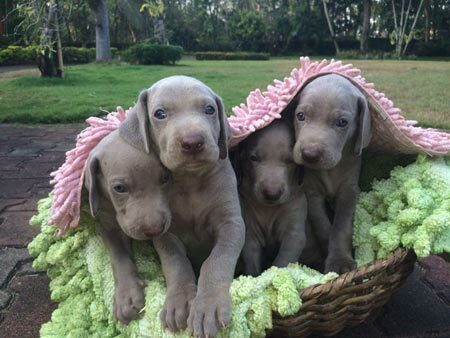 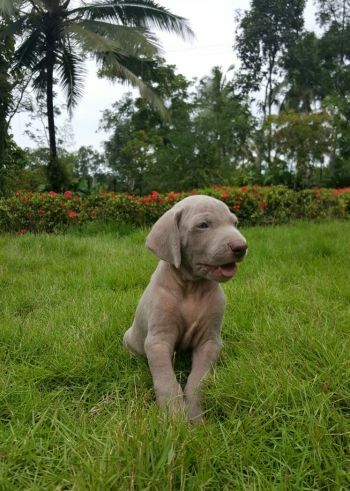 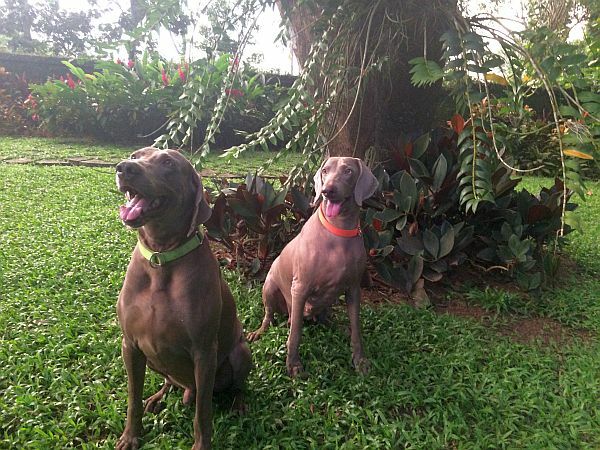 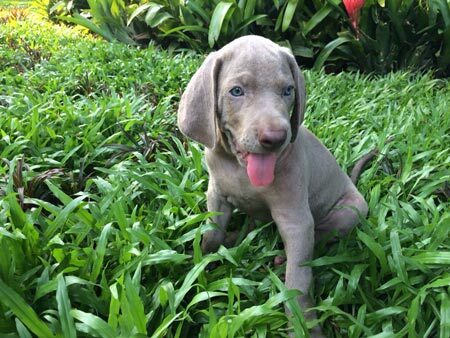 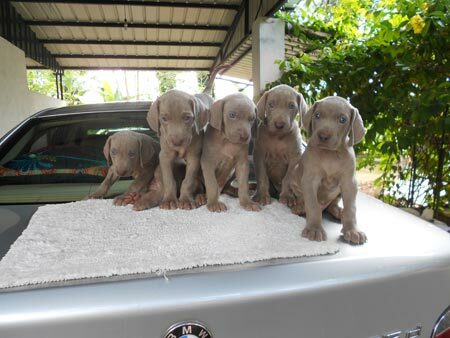 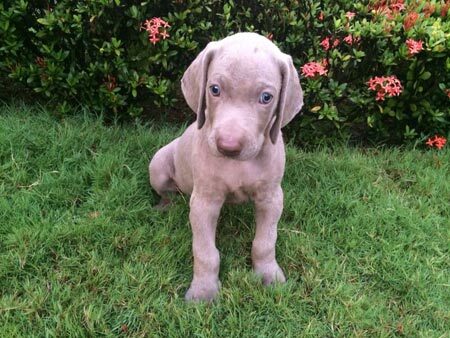 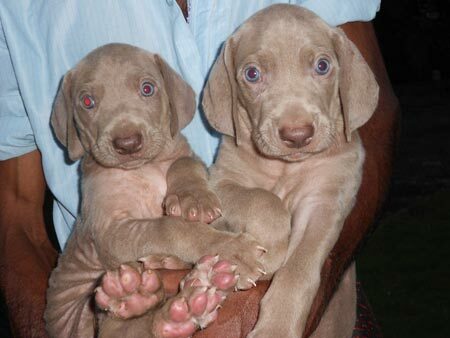 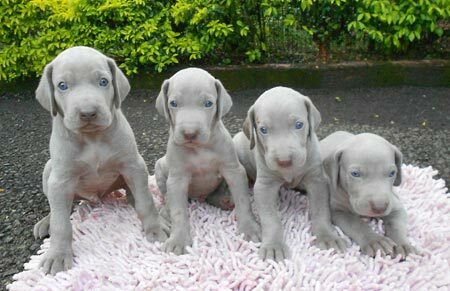 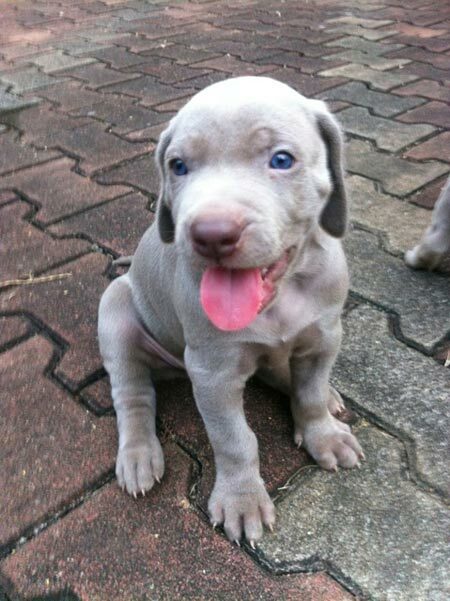 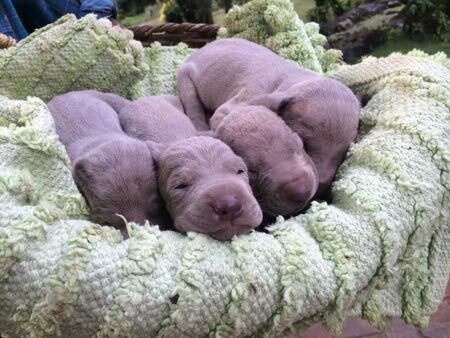 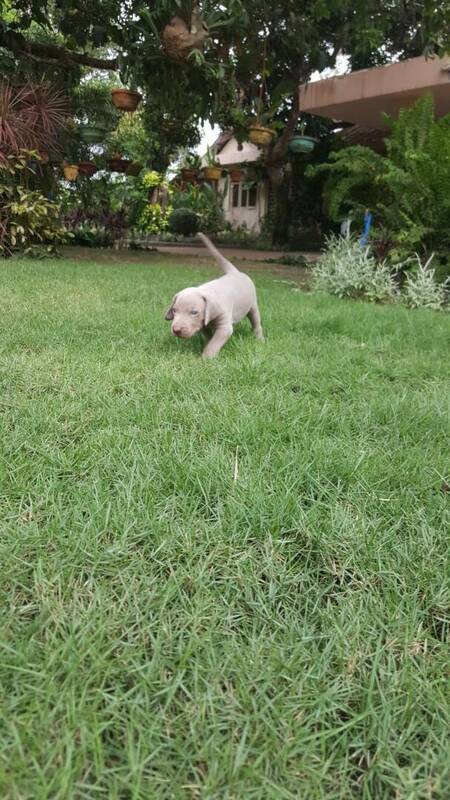 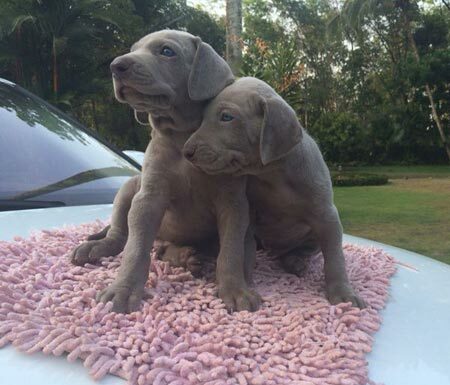 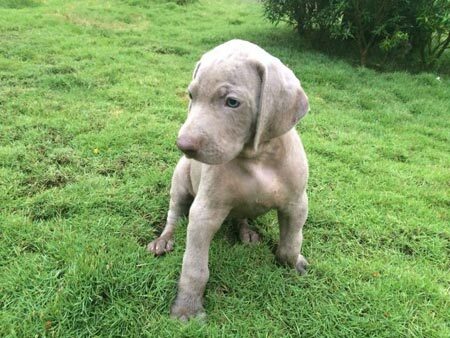 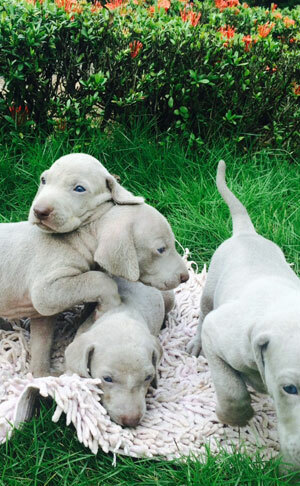 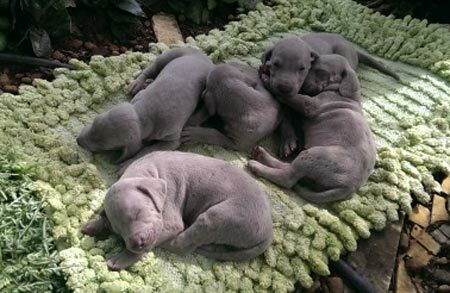 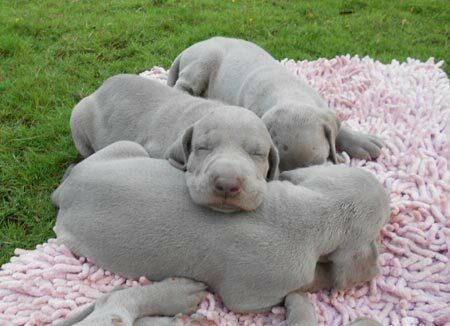 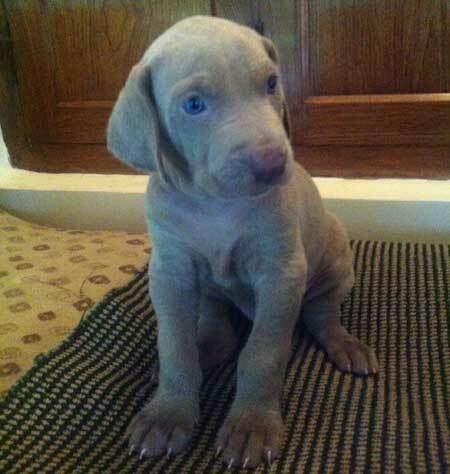 Weimaraners are happy, cheerful, loving, intelligent, loyal, brave, protective and excellent with children. 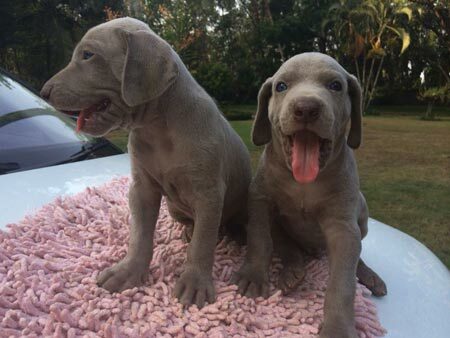 This breed learns quickly. 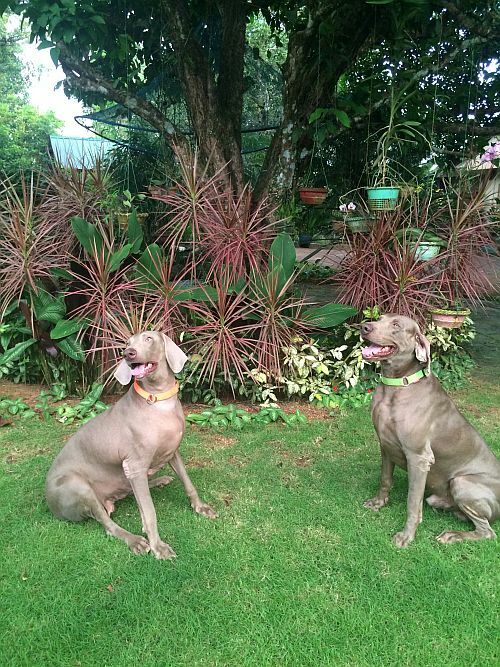 They make good guard and watchdogs. 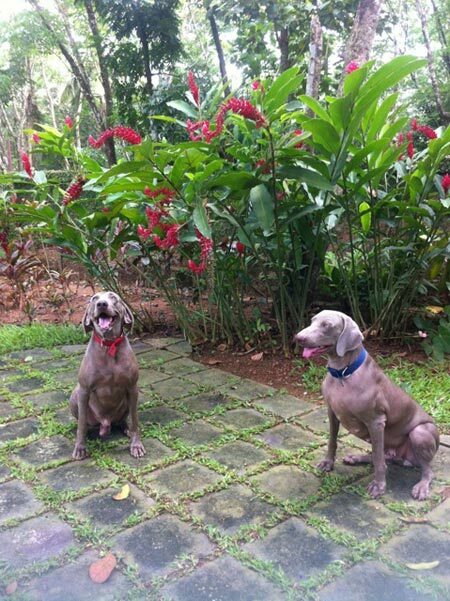 They are so eager to please and motivated by reward. 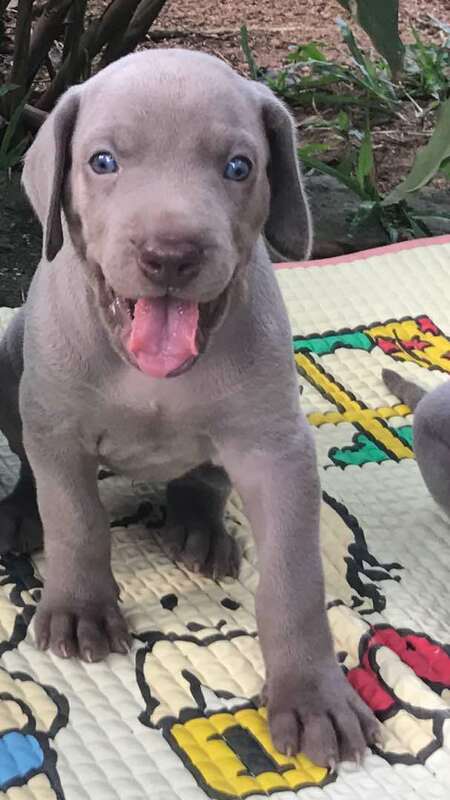 (food or praise). 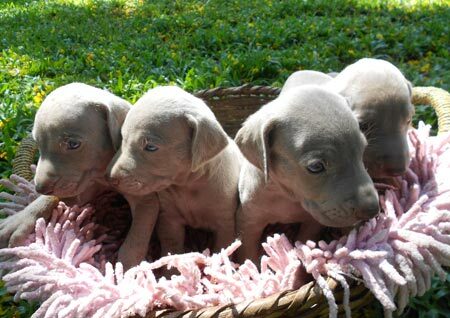 Weimaraners are moderately large, athletic dogs. 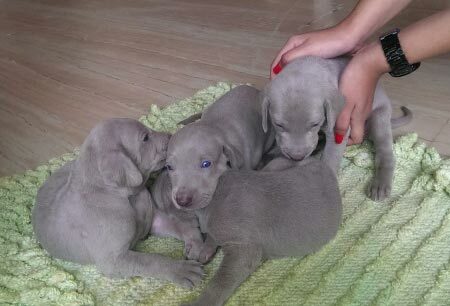 The eyes of the puppies are blue-grey. 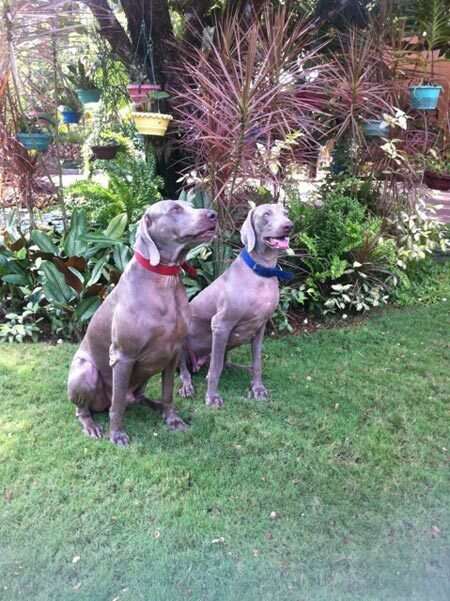 The high-set ears are long and pendant, folded forwards and hanging down along the sides of the head. 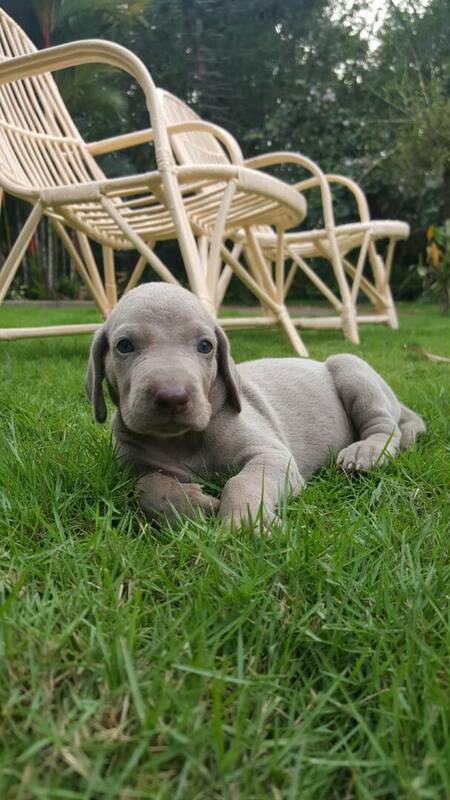 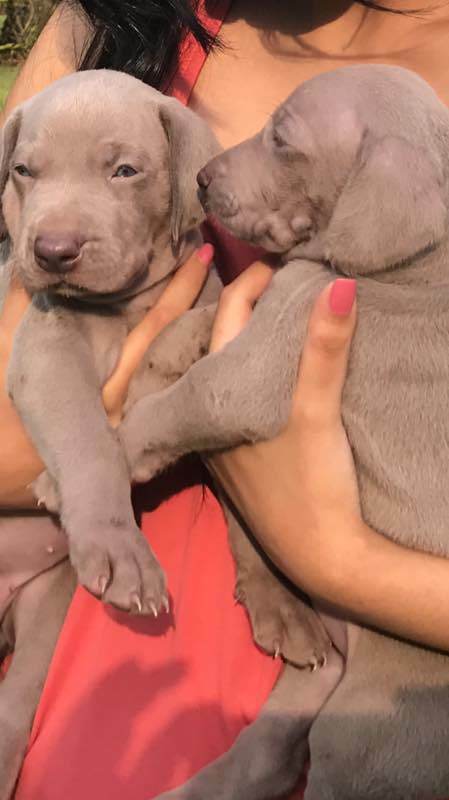 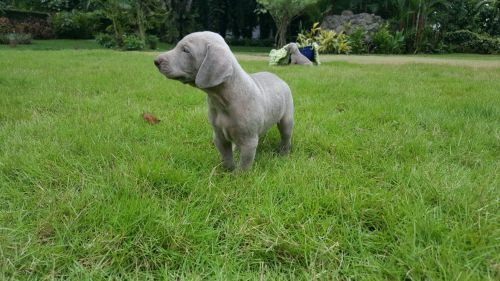 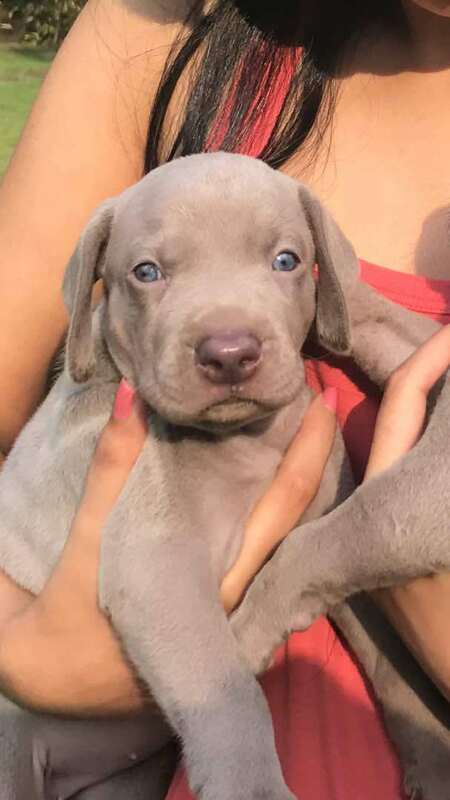 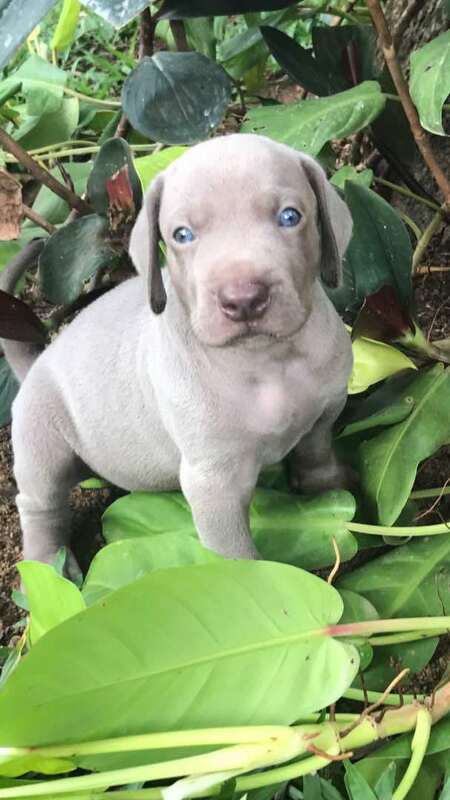 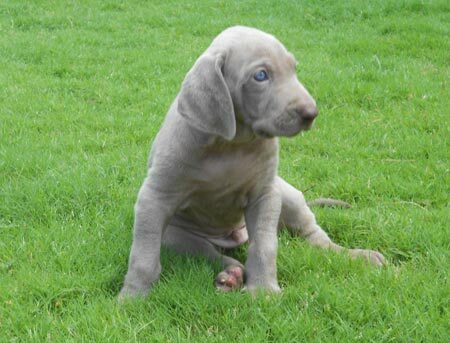 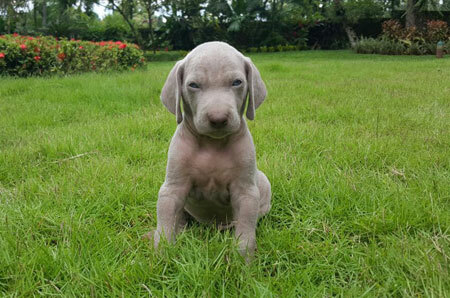 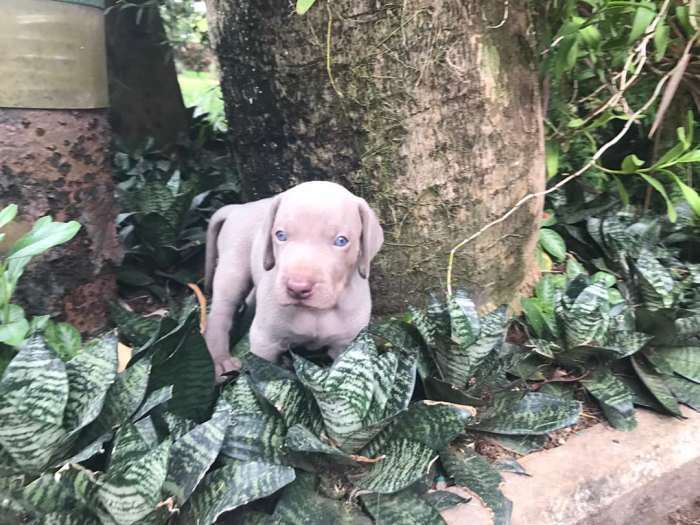 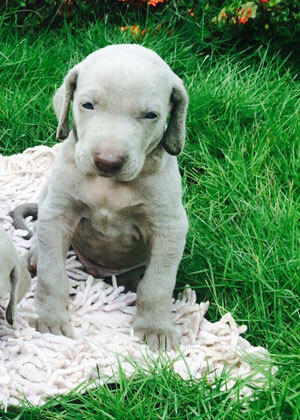 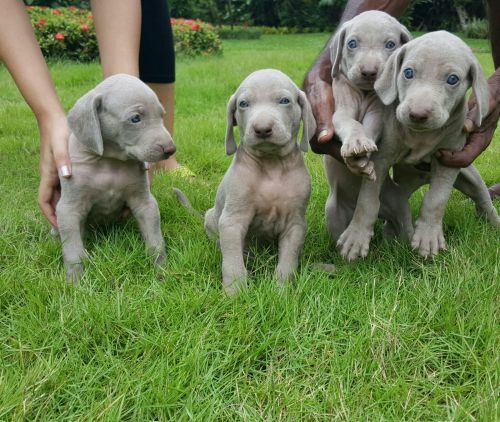 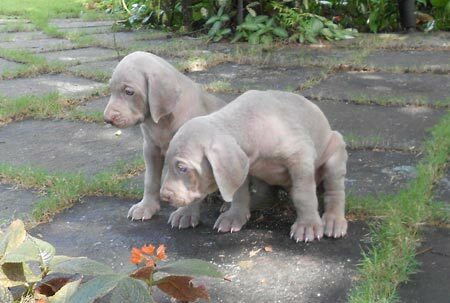 The short smooth silver-grey coat is tight against the body with a small white marking on its chest which is low maintenance giving the Weimaraner a distinctive appearance. 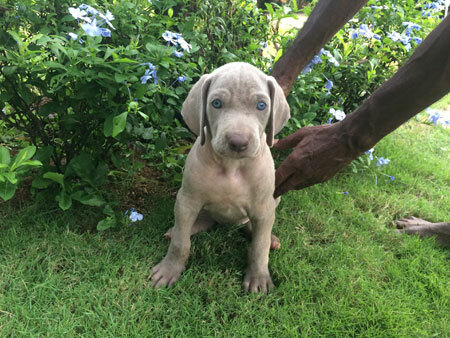 Ideal for Indian weather conditions. 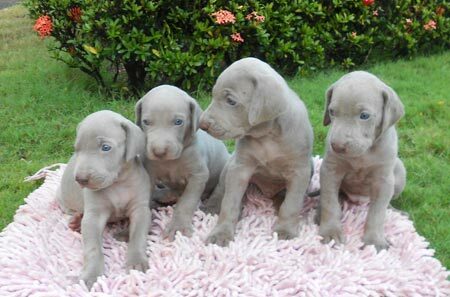 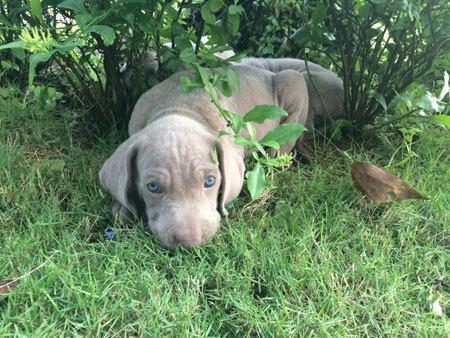 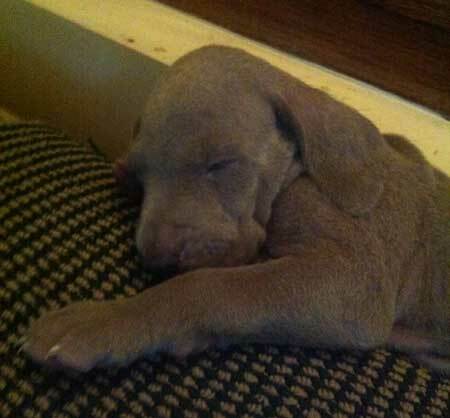 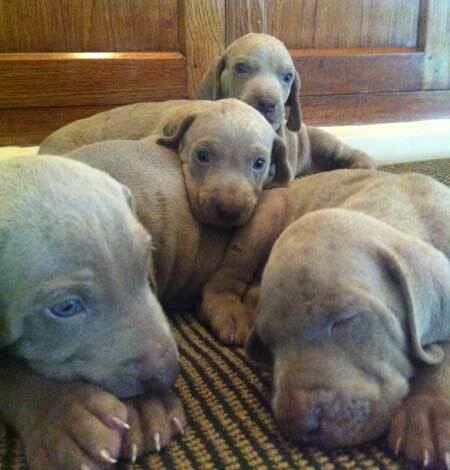 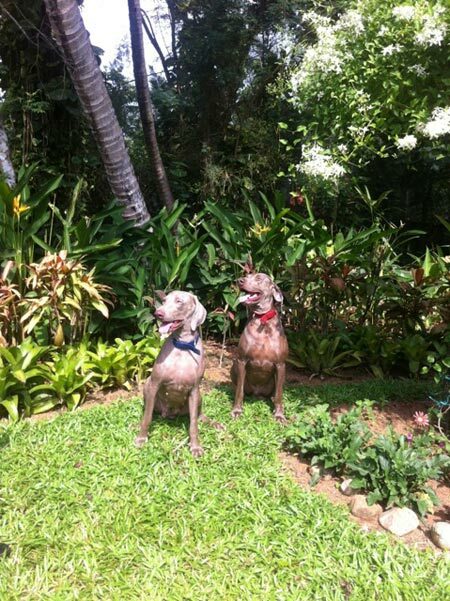 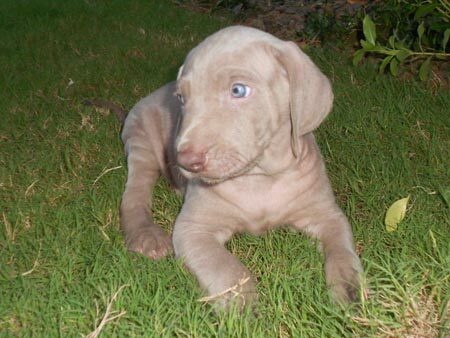 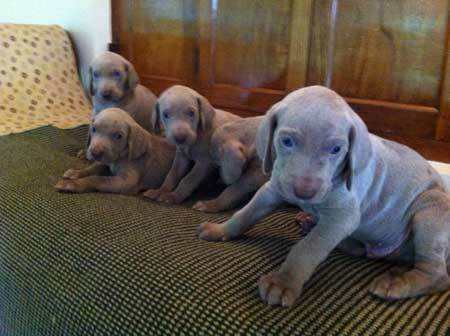 Weimaraners can be kept in apartments if sufficiently exercised but are best in homes with yards. 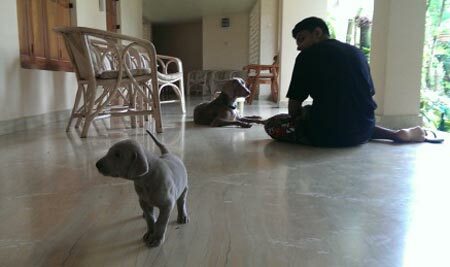 Under the guidance of one of the best vets.